Today I am continuing a hastily put together series of Super Bowl worthy bites. “Hummus” is loosely used here in the title. This recipe came about during the past holiday season. I decided to whip up some hummus for lunch and upon opening what I thought was a can of chickpeas, I realized I had mistakenly opened white beans. The first version from the holidays. I have had a lot of success with white bean dips so I decided to create one more. 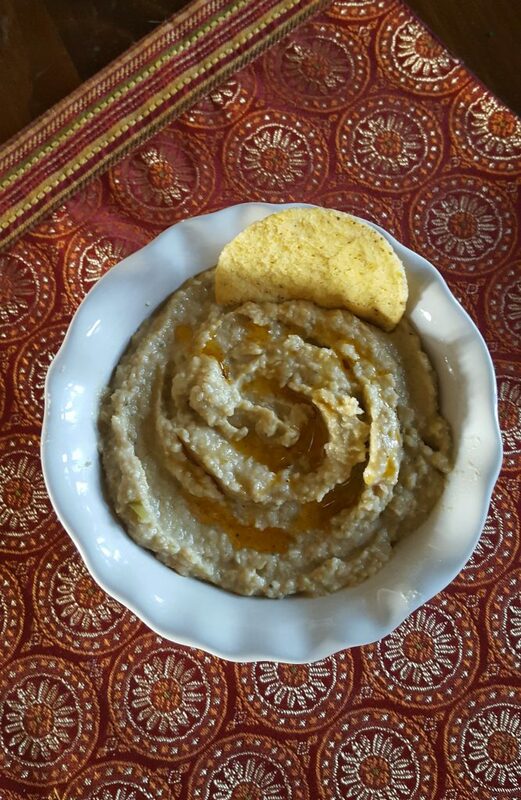 Finding a can of olives in the pantry spurred me on to create this new hummus-like dip. Place olives, beans, paprika, garlic and red wine vinegar in a food processor and pulse until pureed. Add enough hot chili oil to get a consistency of a dip. Season with salt and pepper. May garnish with more paprika and chopped olives. Serve with pita chips or tortilla chips. If you want a very tasty homemade onion dip, please check out my last post. 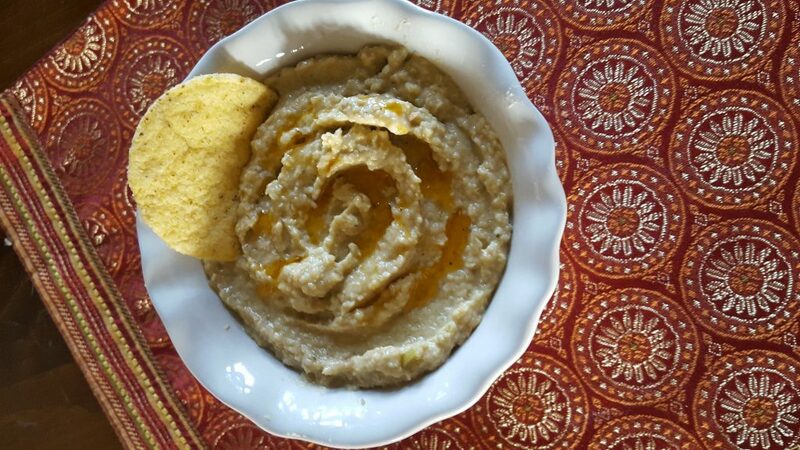 I love the combo of olive and white bean…I can eat this with a big tablespoon! It’s good as a wrap spread, too. Love white bean dips! Haven’t had one with olives in it, though — really neat idea! Very Mediterranean. 🙂 Gotta try this — thanks so much. This was seriously thrown together on a whim. Thanks, John. Sounds good! I’ve never combined olives and white beans before and want to give this a try. Thanks for the recipe! I think I will whip it up again for Sunday. Thanks, Pam.